How do I start treatment with Viibryd? 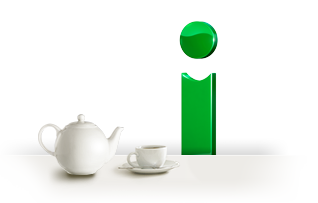 Viibryd comes in 10 mg, 20 mg, and 40 mg tablets. Most likely, your doctor will start you with a 10 mg dose once daily for 7 days. After that, your dose will be increased to 20 mg once daily for 7 days. Depending on how well the drug is working for you and how your body reacts to it, your doctor will either tell you to continue taking 20 mg once daily or he or she may increase your dose to 40 mg once daily. Always take Viibryd with food. 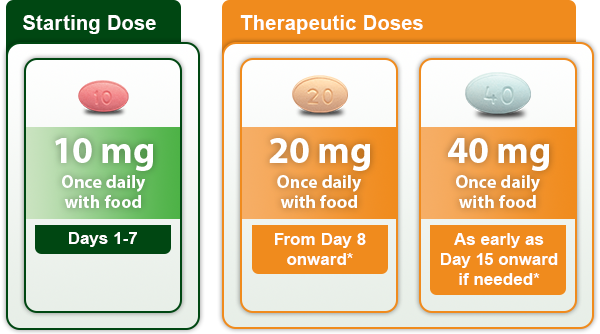 The graphic below shows the recommended dosing schedule for Viibryd. Your healthcare provider may provide different instructions for you. Always follow your healthcare provider's instructions on what dose to take. *Based on individual patient efficacy and tolerability, the dose may be increased up to 40 mg once daily with food after a minimum of 7 days between dosage increases.